It depends on your role in the group whether you can access / change certain functionalities that you see in the screenshots and described in the text. When you are a member in the group, you see your status and whether you can leave the group or not. 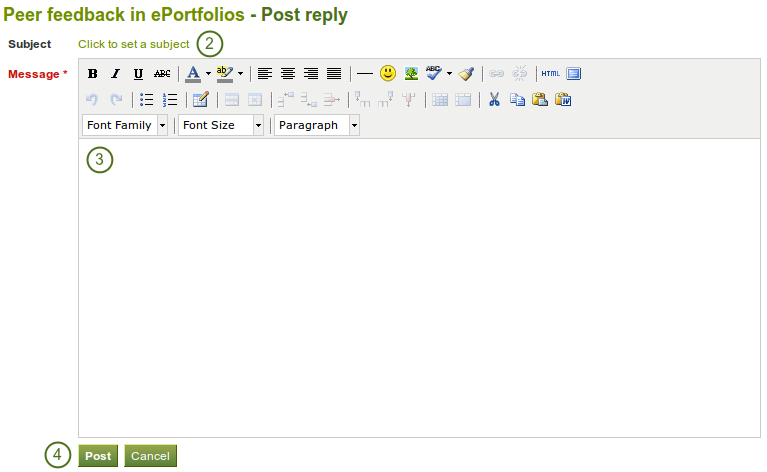 If you are an admin of the group, you see the Edit and Delete buttons. If the group administrator allowed users to recommend the group to friends, you see the Recommend to friends button. If the group administrator allowed users to invite friends, you see the Invite friends button. If you are allowed to copy a group page, you will see the Copy page button here and in the “Pages” tab. View pages that members have shared with the group. 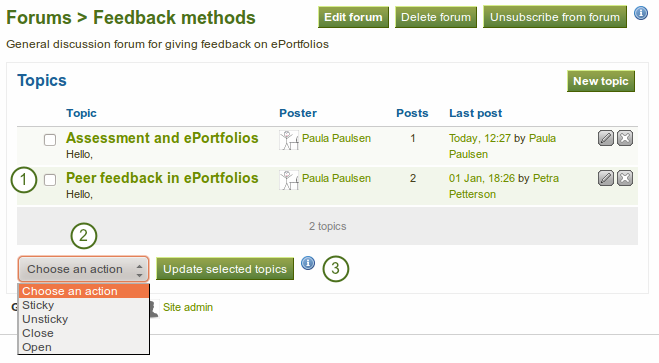 If the group allows page submissions, select the page that you want to submit for assessment / feedback. You do not have to share the page with the group. The administrator (and tutor) can view the page once it has been submitted. Group members and a link to the full list if the group administrator did not hide the group membership. A group administrator can always invite any user to a group from the Members tab. If the group administrator allowed users to invite friends, they can do so via the Invite friends button on the group homepage. If you are a group administrator, you see all users. 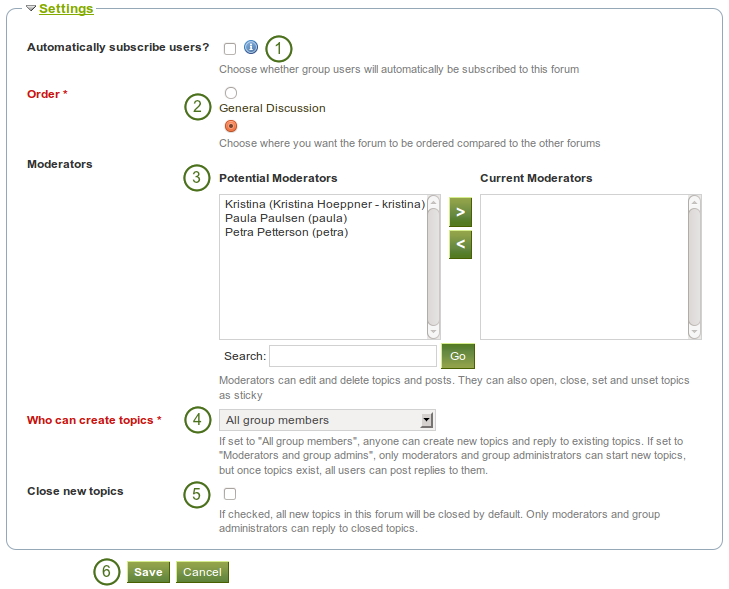 Moderators: Choose one or more moderators for your forum. They can edit and delete topics and posts as well as open, close, set and unset topics as sticky. Thus, they can perform some administrative functions without having to receive full administrator rights. 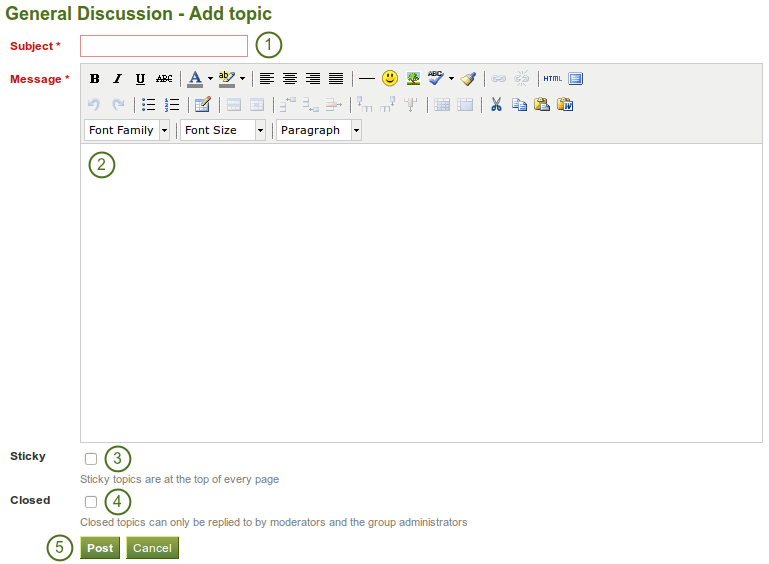 Sticky: admin-only setting to keep the topic at the top of the forum threads. Closed: admin-only setting to prevent others from responding to this post. Moderators and administrators can still post replies. When you write your forum topic, i.e. your first post, and any other subsequent post, you have formatting options at your hands in the visual editor (when it is enabled). It also allows you to insert images into your post. However, you should not copy the URL of one of your images from your Files area. This image is only displayed to you unless it is also included in page that you made available to this group, logged-in users or the public. 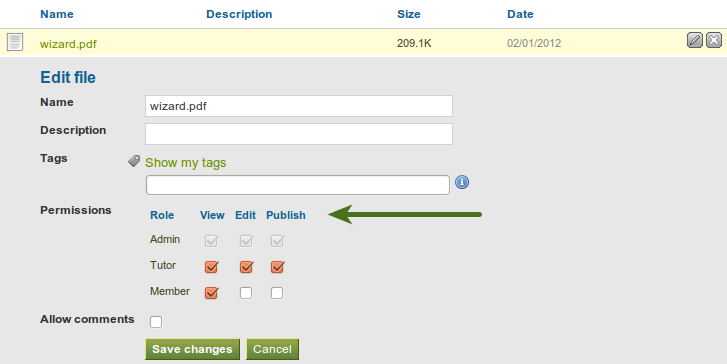 Permissions on artefacts are governed by the permissions set on the page(s) in which they are included. Subject Set a different subject if you want to by clicking on Click to set a subject. This is most often not necessary and usually only used if the topic evolves into a different discussion. However, in such cases, a new forum topic should be opened. sticky: They will sit on top of all other forum topics. unsticky: They will be placed into the correct chronological order. The latter are pages that a user makes accessible to the group from his personal pages by sharing them with the group. Members of the group cannot edit these pages. 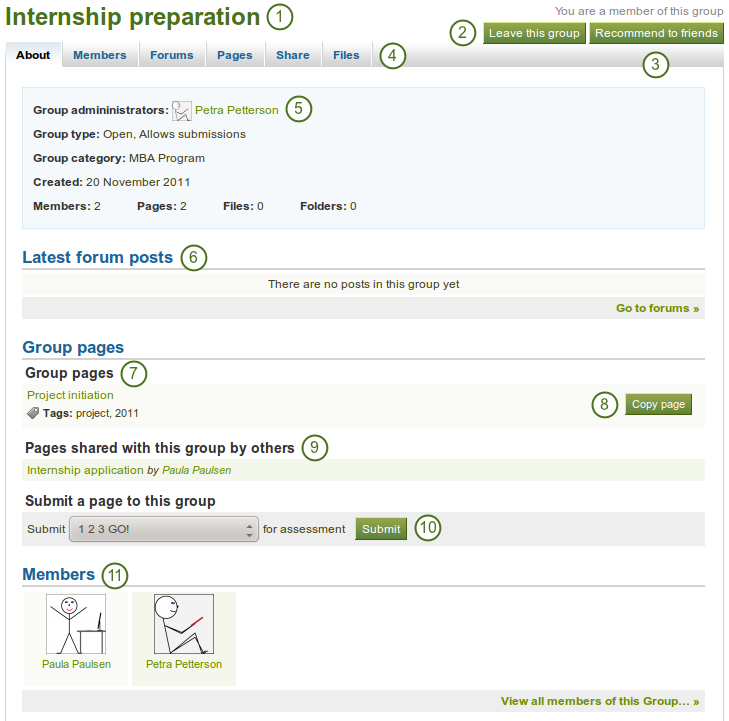 Depending on the group settings, either only administrators or also regular group members can create and edit group pages.